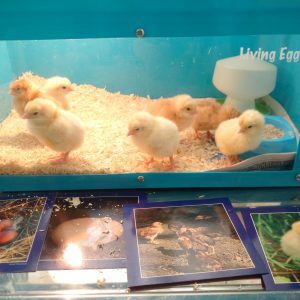 We have some chicks at St Martins! On Monday Dave came into St Martins with real eggs! They had to stay in the red incubator which is 37.7 degrees. 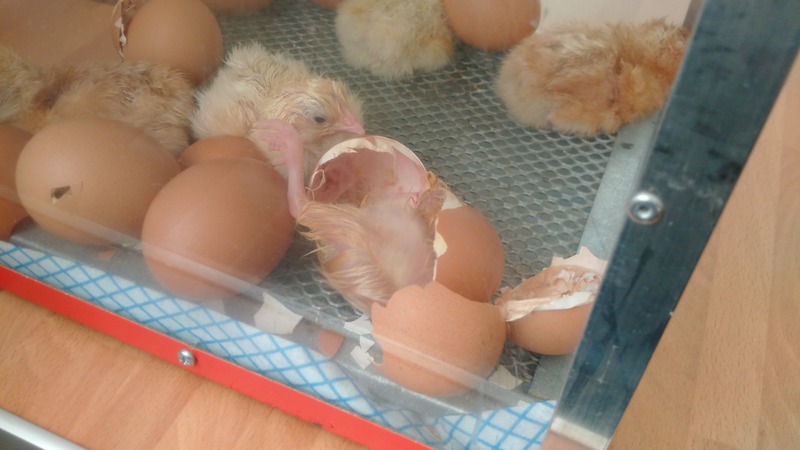 This is how warm it would be under their Mum’s tummy. Tuesday some cracks started to come on the eggs. Three eggs had cracks. 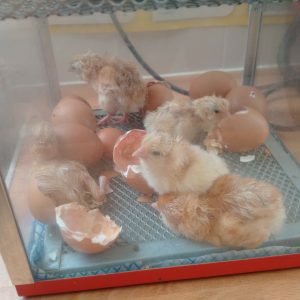 Wednesday the chicks were nearly ready to come out. 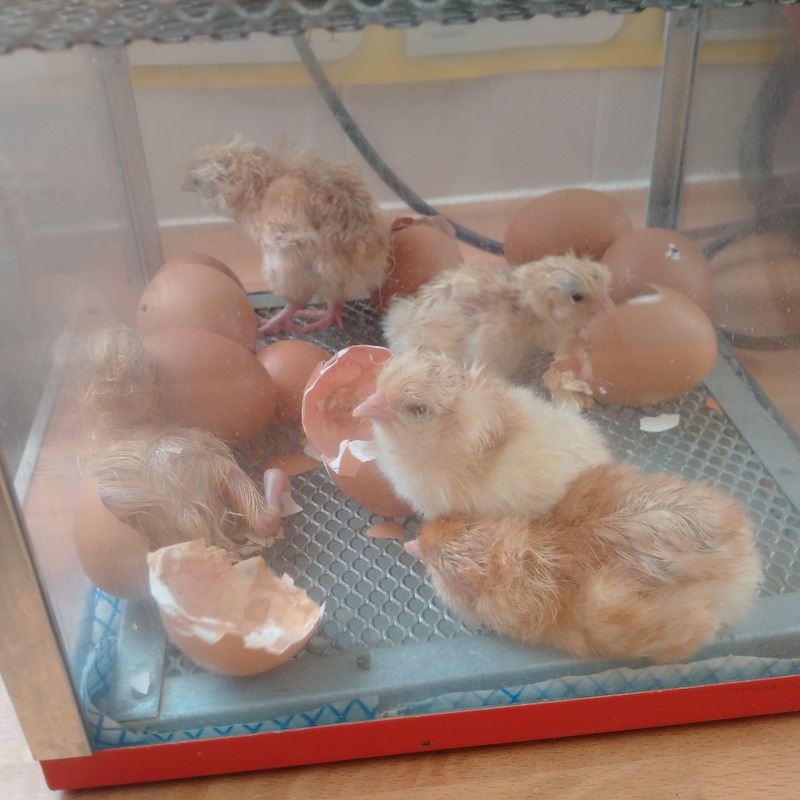 Thursday morning when Primary 3 came in 5 chicks were hatched. 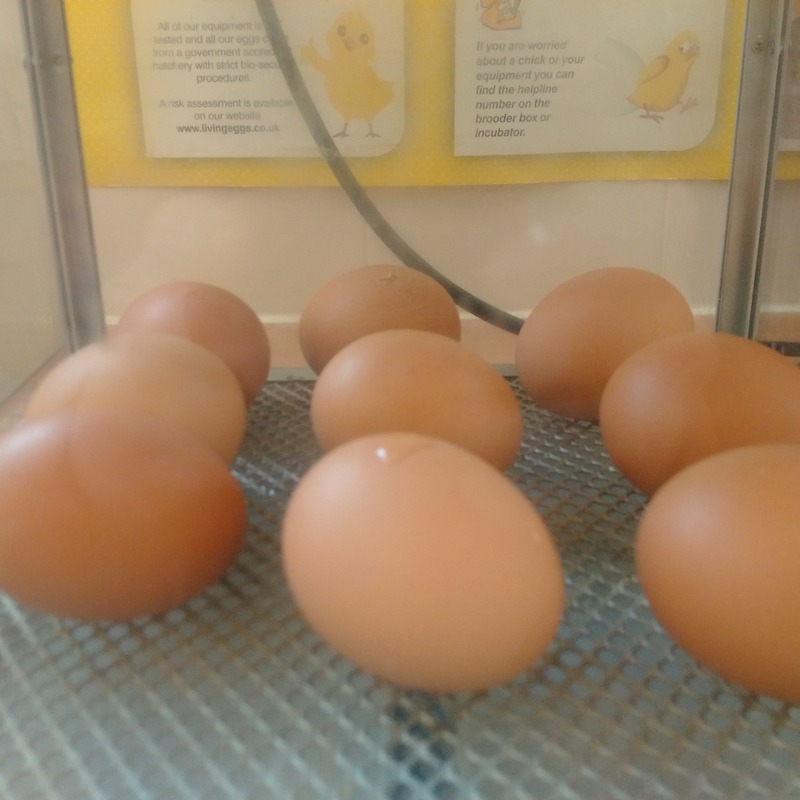 As the day went on 1 more hatched that Primary 2 saw, and then one hatched during break time. All the children at St Martins got to then see the chicks.